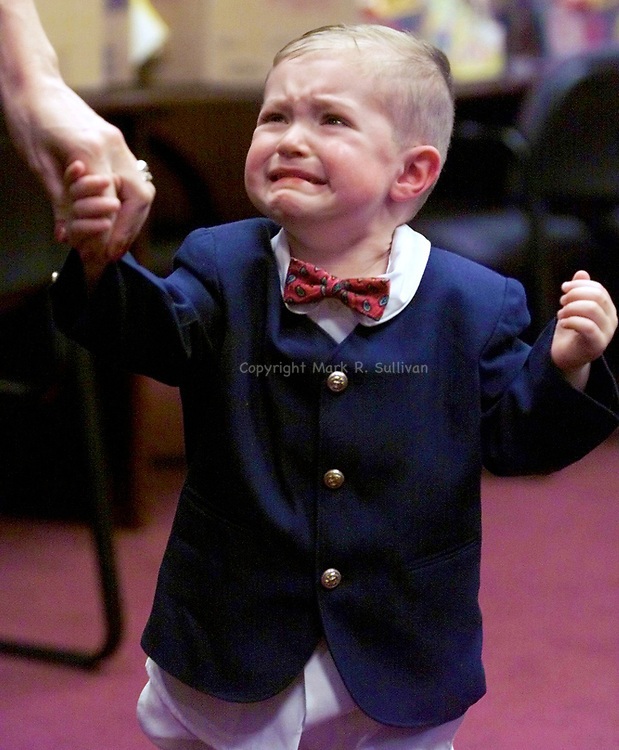 Despite the tears while mom leads him past the judges, 2 yr old Riley Egan, of Woodbridge wins the Best Dressed Boy , during the annual Woodbridge Twp. Easter Parade. Because of the rainy weather the event was held indoors at the Municipal Building.